Abbe has been working as a movement & somatic educator since 1998, and holds teaching qualifications in Feldenkrais Method, Pilates and classical ballet. One of the first teachers to introduce Pilates to Ireland in 2000, Abbe was a co-founder & director of Dublin Pilates Studio from 2002-2006, before establishing Feldenkrais Dublin in 2007. During her dance training, she developed a growing interest in somatic (mind-body) approaches, including Ideokinesis and Alexander Technique, which led to an introductory workshop in Feldenkrais Method in 2001. Following a back injury in 2004, a course of individual lessons (with Feldenkrais practitioner Sabine Volkmann) enabled a full recovery, along with an unexpected expansion of ease and ability far beyond her pre-injury state, opening up “a whole new world of movement!” in the process. This led to a decision to train in the Feldenkais Method in 2005. 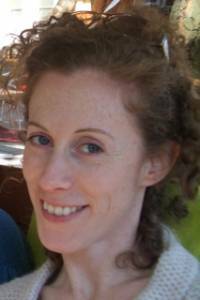 Abbe now teaches in Dublin and Killarney, Co. Kerry, and works with a wide range of people with diverse needs, from older people with back pain or postural difficulties to professional performers (musicians, actors, dancers), and athletes. Particular areas of interest and experience include working with postural and movement limitations, scoliosis, back / neck and shoulder pain, arthritic conditions, repetitive strain injuries, post hip-replacement, stress reduction, and working with performing arts & sports. Abbe is a certified Feldenkrais practitioner, and member of the Feldenkrais Guild U.K (www.feldenkrais.co.uk) and Feldenkrais Ireland (www.feldenkrais.ie).